This red-brick, 20-story apartment building was designed by Gustave Wiser and is distinctive for its large, green, glazed terra cotta corner panels and a very handsome redesign of its entrance and large lobby. Green panels also are used in the broad window sections. The green colors suggest the old patina of copper but are somewhat incongruous, albeit not unwelcome here. It might have been more effective if similar paneling had been used to create quoins at the north and west edges of the building, a treatment that might have created a more unified appearance. The lobby is quite modern and has an Oriental-style elegance that well compliments a similar but different lobby and entrance of the adjoining, somewhat newer building on the same block, a rather unusual example of contextual design. This building, which has a doorman and a concierge and several terraces, was erected in 1957 and converted to a cooperative three years later. 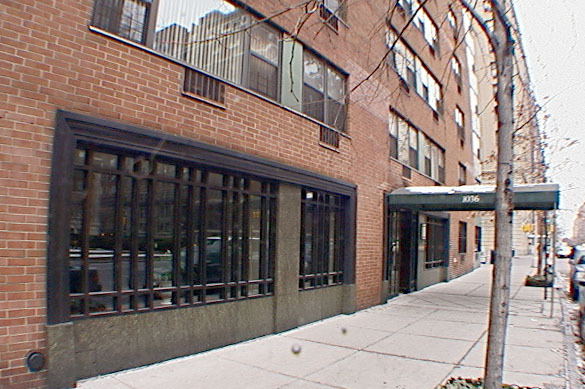 It has 75 apartments and an excellent Upper East Side location that is one block from an express subway station at Lexington Avenue. Cross-town buses run frequently on 86th Street and two supermarkets are nearby on Madison Avenue as well as many boutiques. Central Park, of course, is just two blocks away. The neighborhood is highly desirable because of its many landmark buildings, major museums, excellent schools and religious buildings and convenient shopping.